Asociaţia Super Tineri - ASIRYS: EVS in Romania: Upgrade your leadership skills! EVS in Romania: Upgrade your leadership skills! 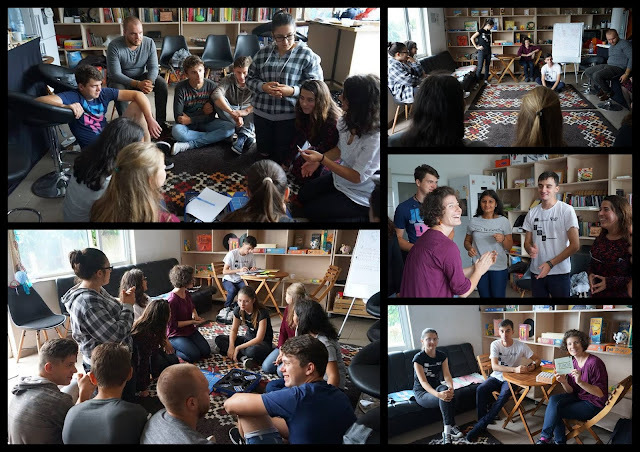 If you are interested to open your organisation, to learn to design your own projects, to gain experience in dealing with volunteers and communities, "Building Bridges" is the Erasmus+ project that will fulfill your expectations! SUPER TINERI (ASIRYS) Association, with 10 years experience and more than 250 international projects portofolio, is inviting a young person (18-30 years old), from European Union countries, to be part of Building Bridges volunteering activity (ex. long term EVS). The volunteering activities will take place at the Tîrgu Frumos Volunteer Center, where you will be involved in the organization of socio-cultural events and projects dedicated to Iaşi county communities. All cost are covered by Erasmus+ programme. We will offer you the chance to explore any passion, come up with innovative solutions, being supported throughout your personal development process by a team of professionals and through non-formal education means! creating and experiencing personal projects. Two examples: e.g. 1: setting up a football team, creating an innovative coaching methodology to train young football players, organizing regional football/sport competitions, developing a strategy to attract sponsors and other partners to finance the football team; e.g.2: developing artistic skills, create a camp for artists, select 20 artists, facilitate a artistic working camp, organize an exhibition, promote the art crafts at national/european level. First step is to send us a CV and motivation letter, where you should describe what are your needs, personal projects ideas, expectations, contributions to the project, to superyouthprojects@gmail.com. Afterward, we will contact you for a Skype interview. Deadline: 25 July 2018. The volunteering mobility will start on 1 September 2018 and will end 31 August 2019. Our Volunteering Center during one workshop. See more pictures of our organisation, click here.